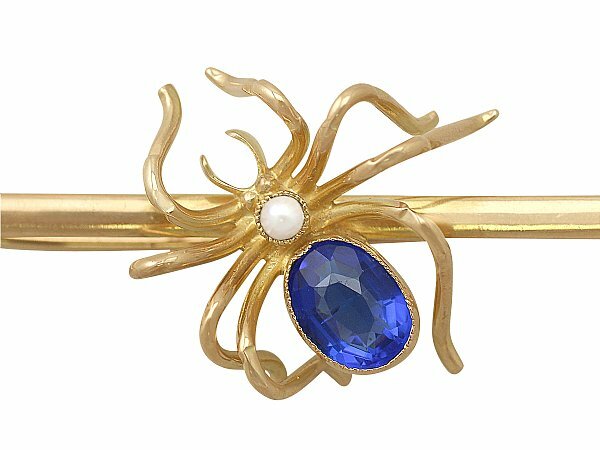 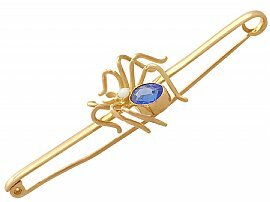 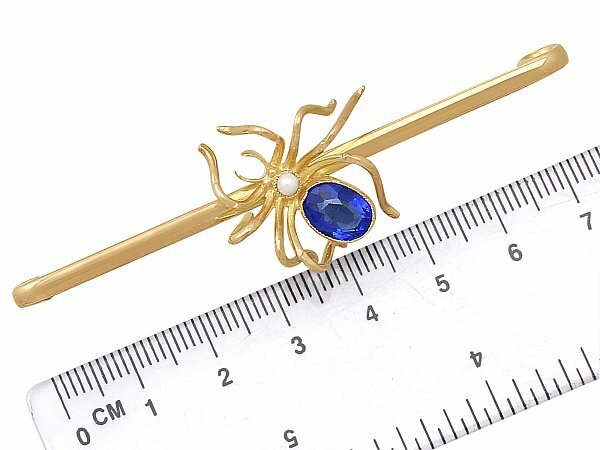 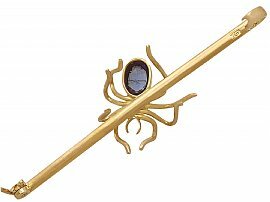 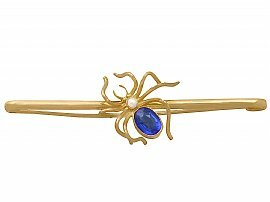 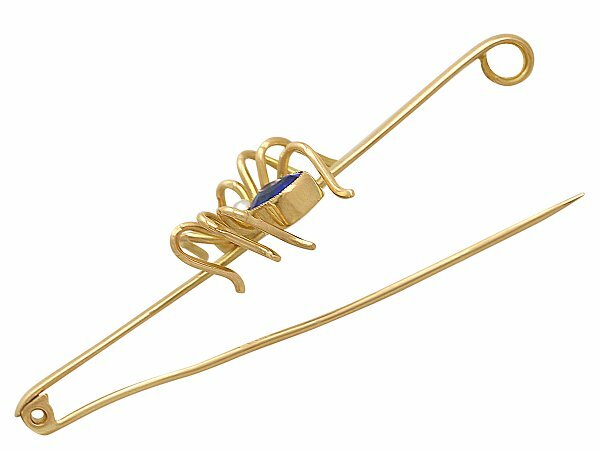 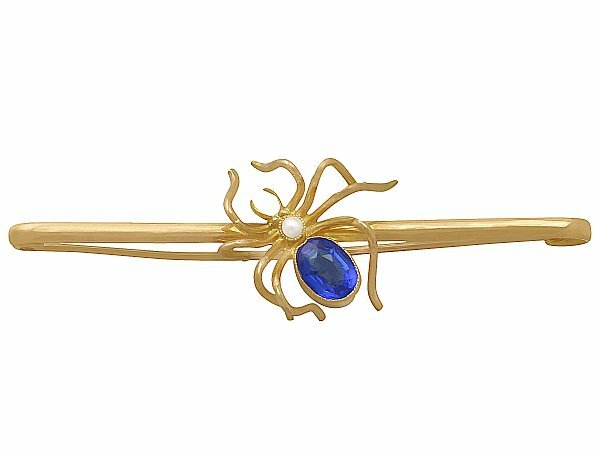 This impressive antique bar brooch has been crafted in 9 ct yellow gold in the form of a spider. The cephalothorax of this fine representation of an arachnid is ornamented with a 2.5mm pearl, and the abdomen embellished with a mixed oval cut blue coloured glass stone which resembles a sapphire. 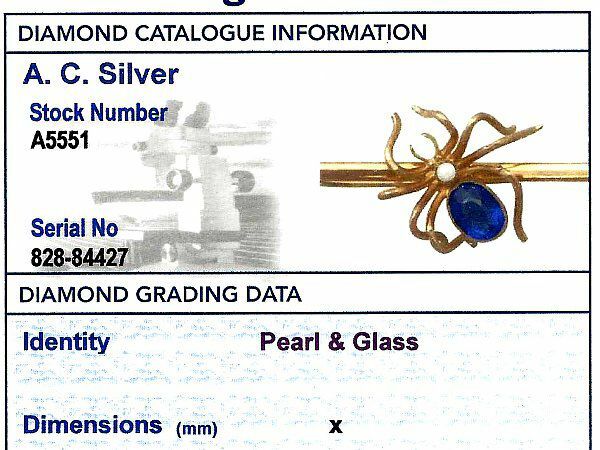 The stones are both displayed in millgrain decorated collet settings. Completing the spider, are eight realistically modelled legs. 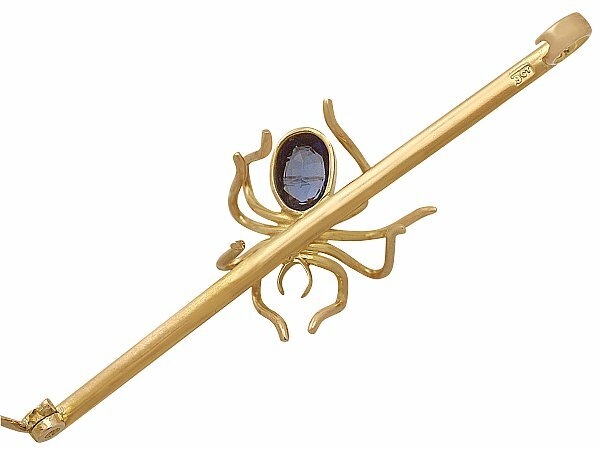 This piece of Victorian jewellery secures to the reverse with a hallmarked hinged pin and hook fastening. The hallmarks to the pin and hook fastening include the 9 ct fineness hallmark (375) and the Sheffield Assay Office mark (Sheffield rose). 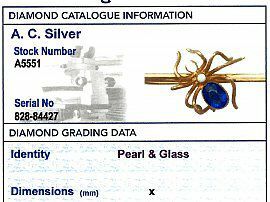 The Victorian spider brooch is supplied with an independent diamond grading report card. 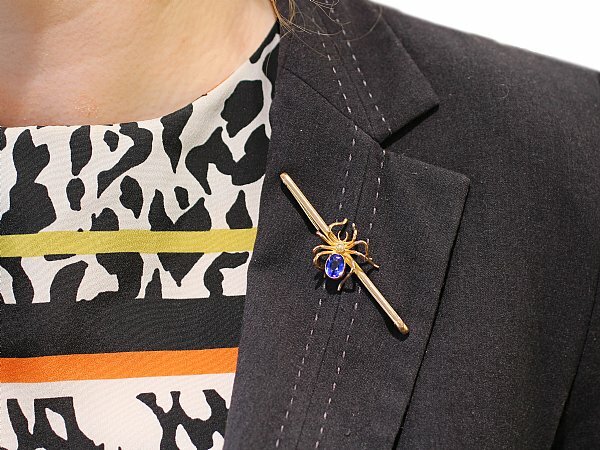 This Victorian spider brooch is fine quality. 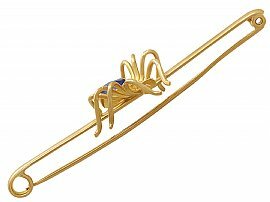 The brooch is a good gauge of gold and is in excellent condition with clear hallmarks. 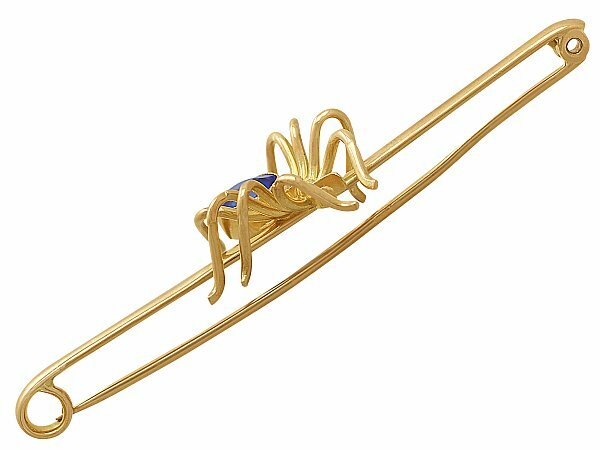 Length bar 7.6cm / 2.9"
Width across legs 2.6cm / 1"
Length head to abdomen 1.9cm / 0.7"